One of the food giants 'Burger King' revamped its menu to mock at McDonald's loss of their trademark in the EU, in their Swedish operations. 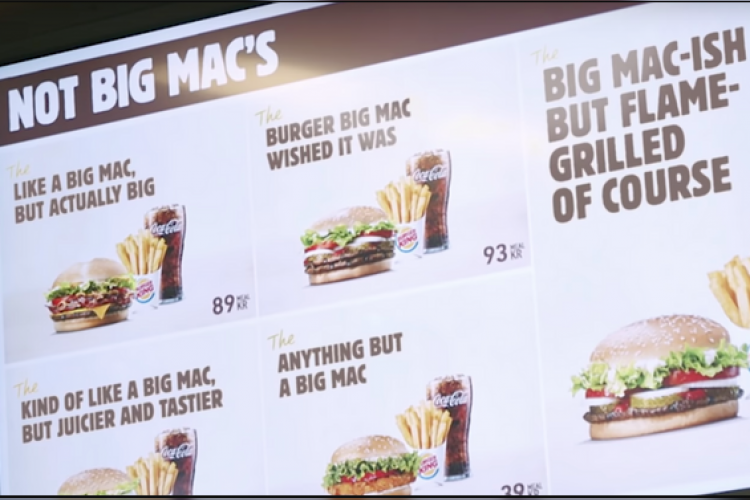 The chain released a video showing customers the unusual menu options like 'Burger Big Mac Wished It Was", "Like A Big Mac, But Actually Big', and 'Big Mac-ish But Flame Grilled Of Course'; under the header "Not Big Mac's". Burger King has a history of trolling its rival McDonalds.